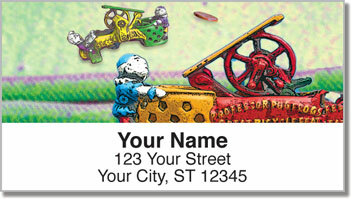 Add color and character to your outgoing mail using this delightful set of return address labels featuring eye-catching antiques. Each of the items displayed on this design is actually an old-fashioned mechanical bank fashioned from cast-iron. 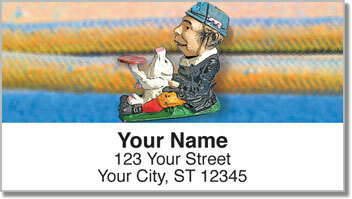 They're the perfect finishing touch for letters and packages, if you're an avid collector of antique toys. But you don't have to love antiquing to appreciate this product. Since they are self-adhesive labels, you'll find it's much easier to finishing filling out envelopes. 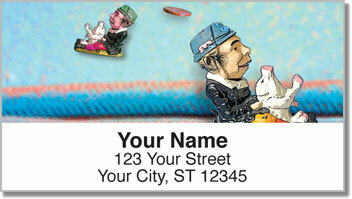 Just peel and place your return address on anything that goes in the mailbox! 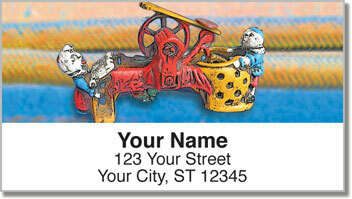 Order your own Antique Bank Address Labels right now! You can also get a set of matching personal checks.